BBC Alba is a Scottish Gaelic language digital television channel jointly owned by the BBC and MG Alba. The channel was launched in 2008 and is on-air for up to seven hours a day. The name Alba is the Scottish Gaelic name for Scotland. The station is unique in that it is the first channel to be delivered under a BBC license by a partnership and is also the first multi-genre channel to come entirely from Scotland with almost all of its programmes made in Scotland. 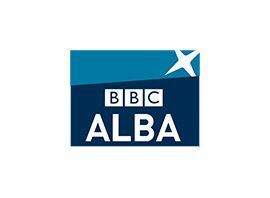 BBC Alba is broadcast for up to seven hours a day in the United Kingdom on satellite platforms Sky and Freesat, cable provider Virgin Media and on digital terrestrial provider Freeview in Scotland only. Programmes are also available to watch on the internet live through services including the BBC iPlayer and some programmes are available for seven days after broadcast on this service and on catch up services of some other services. BBC Alba combines television, radio and on-line programme content, and is anticipated to have a positive impact at many levels including increasing artistic and technical skills, extending economic opportunities, stimulating parents´ interest in Gaelic medium education, appealing to and serving the adult learners and strengthening Gaelic usage in extremely important media. It holds significant potential to assist with the development of positive attitudes to the acquisition and transmission of Gaelic. BBC Alba broadcasts more Scottish sport than any other channel, with over three hours a week of football, rugby and shinty. In addition, the station also broadcasts a live news programme for 30 minutes every weekday. Children´s programmes are shown for two hours every weekday, between 17:00 and 19:00. Current affairs series Eòrpa and children´s magazine show Dè a-nis? are broadcast on Thursday nights on BBC Alba and also continue to be shown on BBC Two Scotland at their usual timeslots on Thursdays.